Evolve Back, Kabini is a delight to visit during the monsoons. 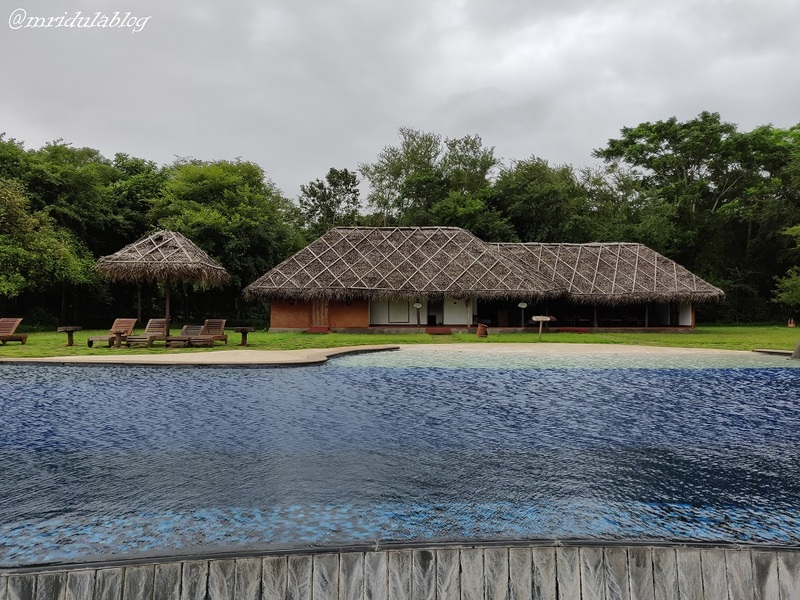 I was invited on a blogging trip to Kabini by the resort. 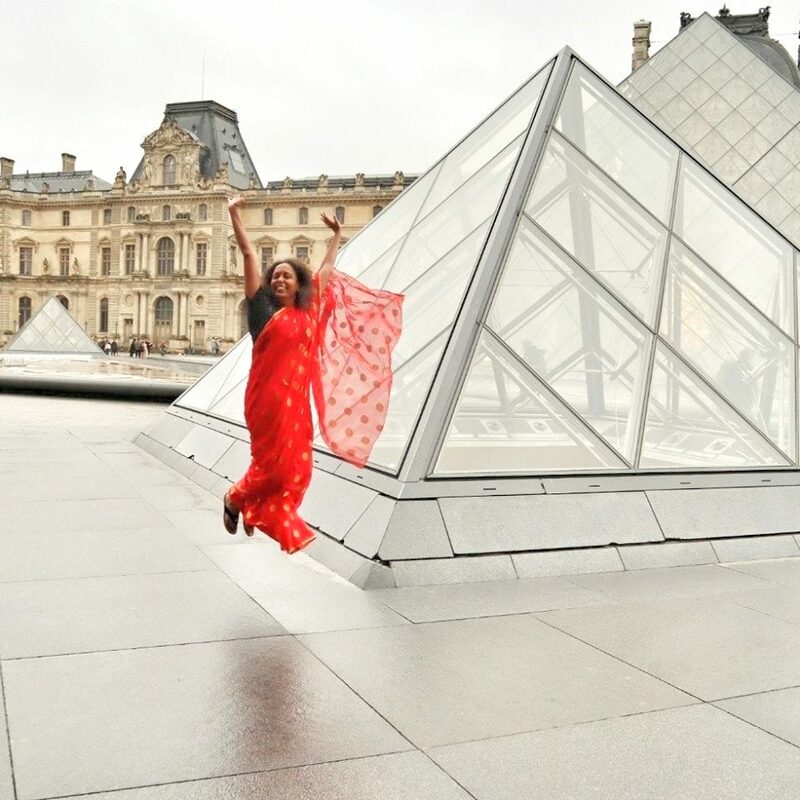 I went alone as Chhavi could not afford to miss tennis or school. Delhi, NCR were still sweltering hot when I left. Right after I landed at Bangalore, the weather got pleasant. My heat baked body immediately felt the respite. 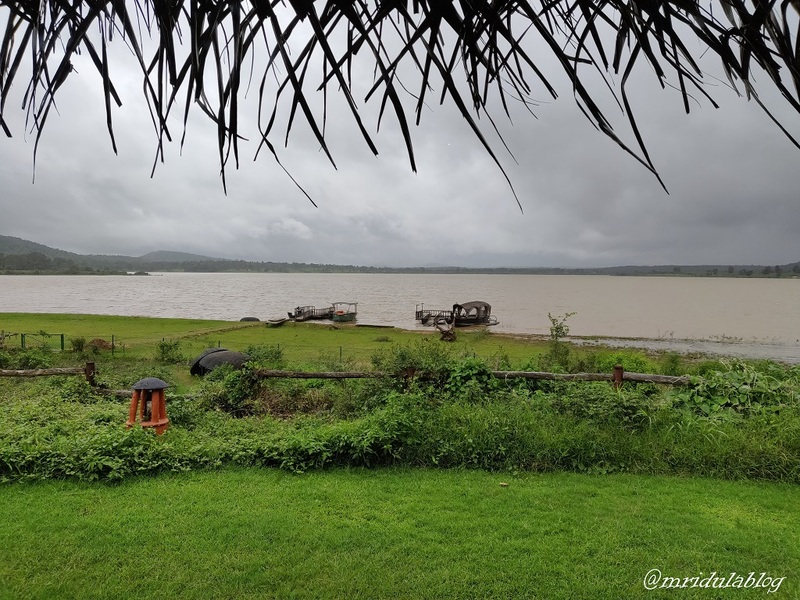 The weather was totally amazing at Kabini, the nature had switched on its air conditioning in the region. I often do a bit of research before going to a place but Evolve Back Kabini surprised me at many levels. I did read on their website that “While you discover a vernacular dimension to luxury …” But I was still surprised when I found it. By the look of it, it is so lightly constructed, it totally blends in with the surroundings! I will write more about the resort in a separate post. Today I wish to write about one of the experiences I had with them on the village trip! Having lived all my life in India, I am no stranger to villages. My father still has land in an obscure village of UP. But I like to go out to villages. So, I hopped on to the open vehicle of Evolve Back with my teacher, guide and driver Srikanth. On that day I was the only guest from the resort going on the village excursion. The village is Sannemadanahalli, it belongs to the traditional Kuruba tribes of Kabini. Many of them were living in the forest and have been relocated. 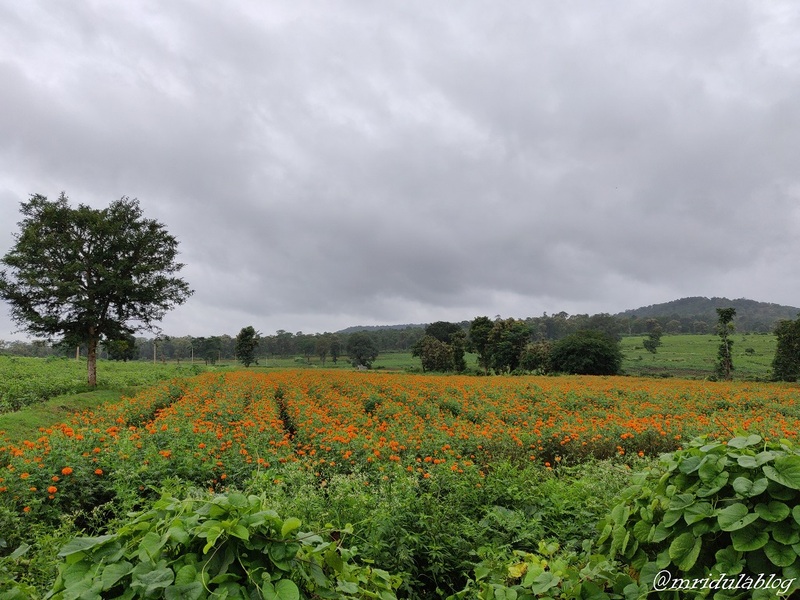 On the way we crossed beautiful marigold fields. Srikanth explained to me that people believe their ancestors’s soul lives in giant banyan trees, so none will be cut down one, even if it stands in the middle of a fertile field. But what totally blew my mind was a visit to Puttamma’s house. The language barrier was huge, I speak no Kannada and she no Hindi, so Srikanth was our translator. 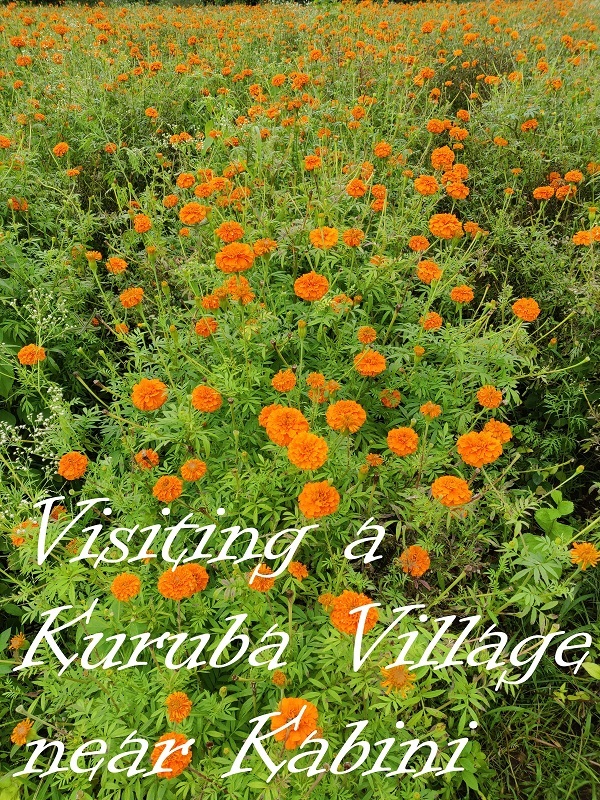 Her house is surrounded by the fields, with marigold growing in plenty. I could spot peppercorn creepers too. There is a huge coop for the hens on stilts. It is on stilts because the droppings can then be used as manure. When people were relocated from the forest, the government gave compensation. 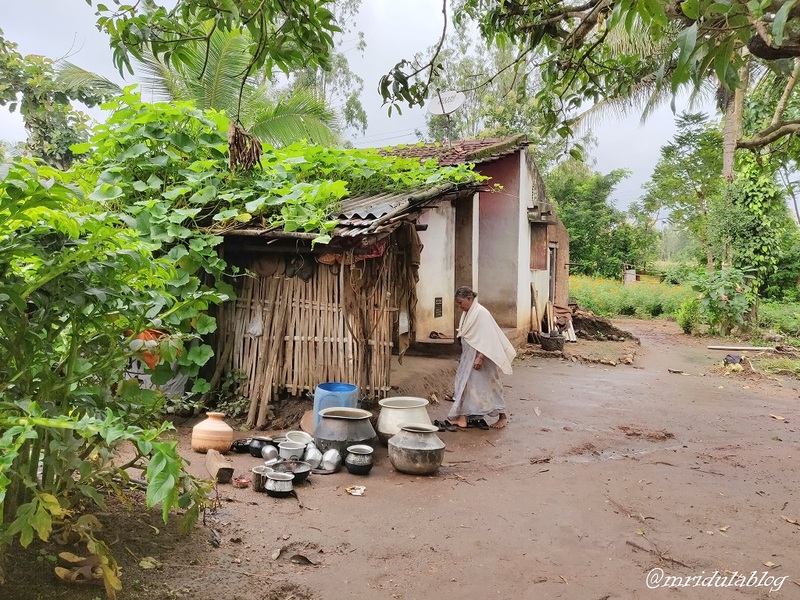 Her house has two constructed rooms and one extension which is a hut. I see a fire burning there. 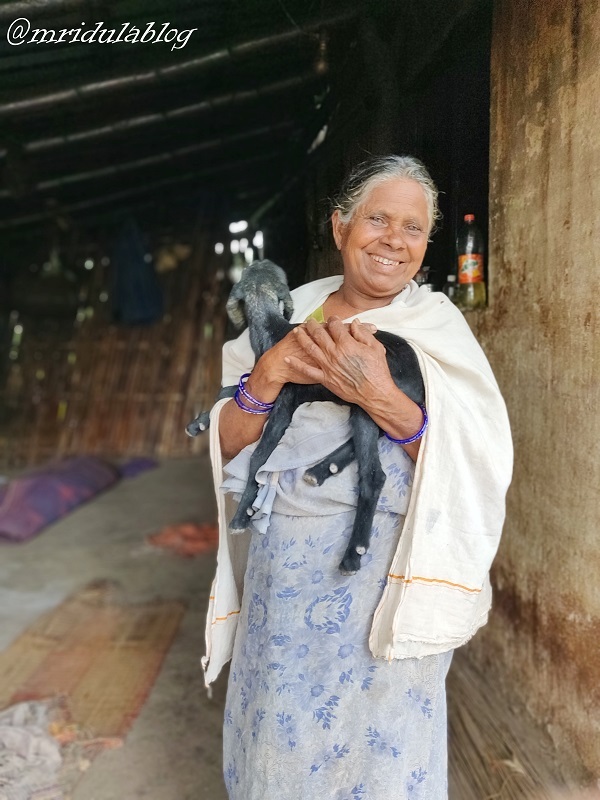 Her goats are cozy around it. I am gobsmacked. Of course, my house has large windows from which I can see outside! I don’t think I can sleep at all if I feel the outside can come inside my home! I am amazed at the connection Puttamma and her family has with the nature! 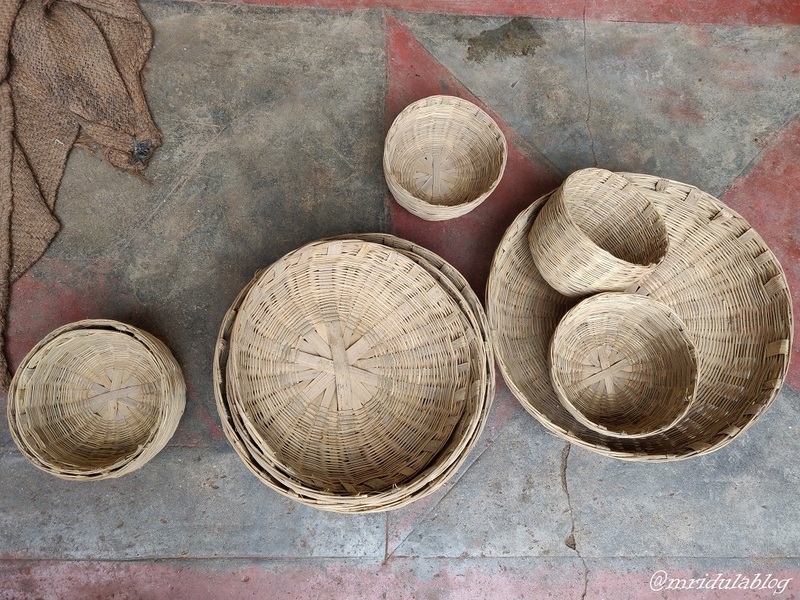 I look at the bamboo baskets she weaves and I tell Srikanth that I wish to buy two of them. She asks for 400 rupees and I happily give it to her. Srikanth tells me that will probably last her for one week. I don’t even try to wrap my head around that one. I walk away truly humbled. The resort has made a video in which Puttamma features as a local hero! Do check it out. It is beautiful. My village trip ends with jaggery coffee in a local house. On the way Srikanth points out many other homes with huts as their extension and constructed rooms being used as stores! I hope we continue to live in this amazing world of diversity and that never ever we all become the same! PS. 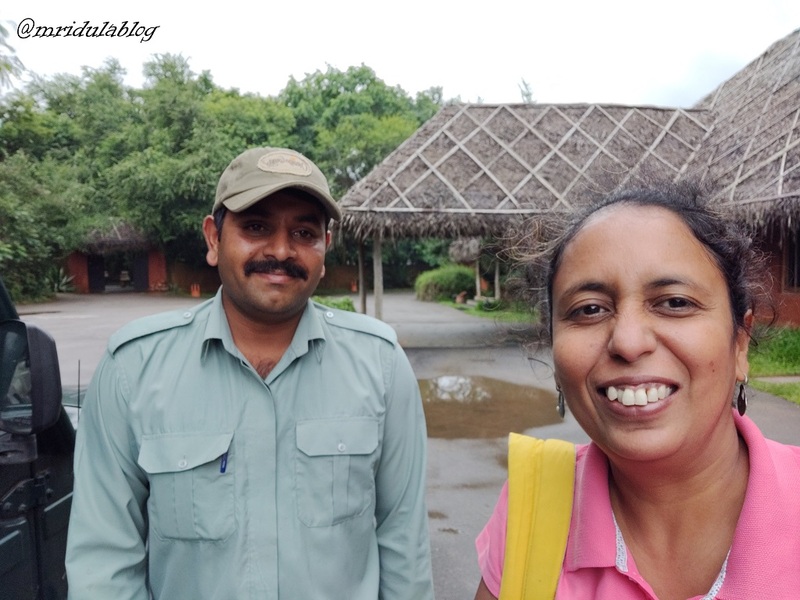 I was invited by Evolve Back on this trip to Kabini.